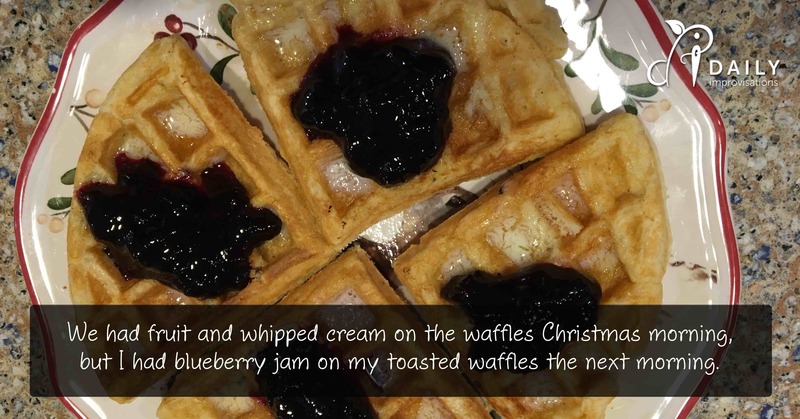 Have you ever had to scramble for your favorite waffle recipe the day before Christmas? Then wonder how the chemistry of it will be affected when you multiple it by five? 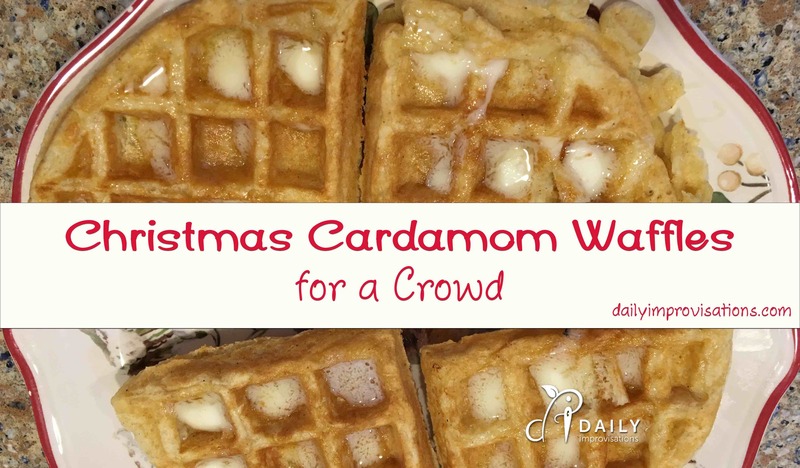 That’s what I did this last Christmas, because there was a high demand for those cardamom waffles. Before this recipe, I didn’t use cardamom. It wasn’t my idea to use it this time, but came with the high recommendation of Chef Betharoni. If you don’t know much about cardamom, read this fun and informative article about cardamom over at culinarylibertarian.com. 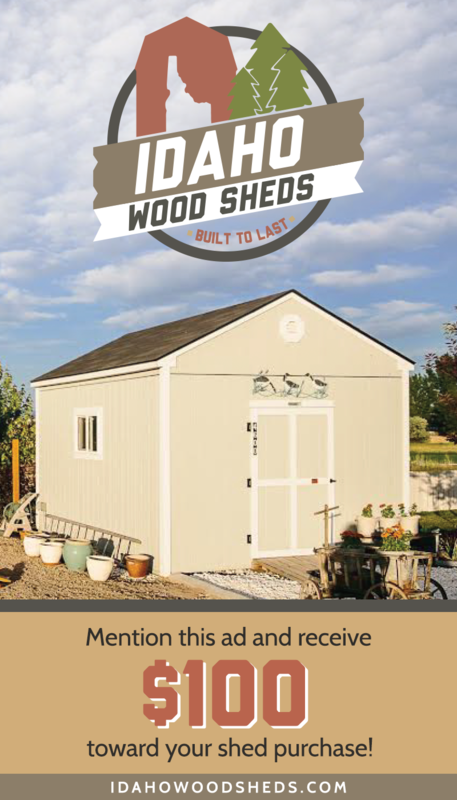 So, for the sake of everyone in the family, I am writing it down here, including a pdf with all the multiples already (link below). add about 2 Tablespoons of fresh ground flour for every quarter cup that I am substituting. Note that this is for quick breads. It is different from using fresh ground wheat in yeast breads, where the amounts added depend on feel more than exact measurement. 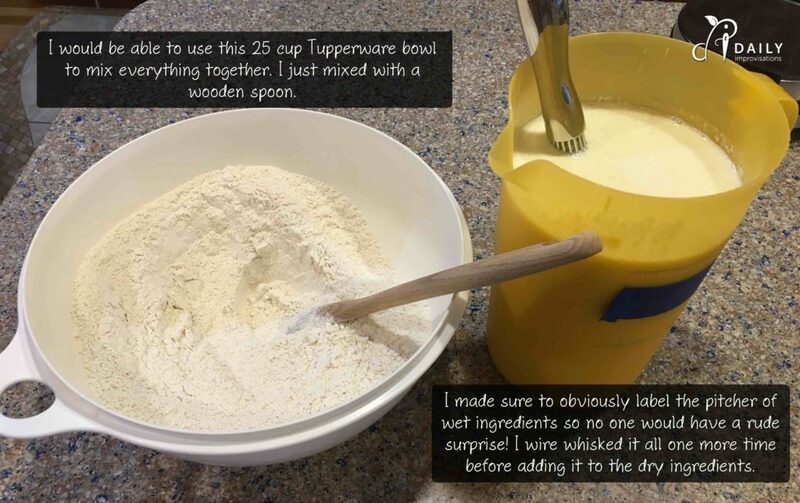 Mix the dry ingredients in one bowl, and the wet ingredients in another bowl. Then mix them together just until everything is moistened. I will talk more later about mixing with multiplying the recipe. 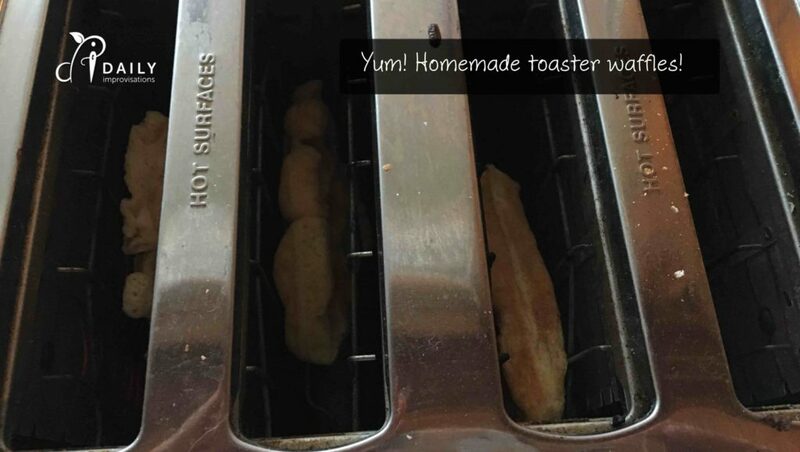 A single recipe is supposed to make 4 individual waffles. It was pretty easy to mix the two sets of ingredients the night before. The dry ingredients can just be left in a covered bowl on the counter. The wet ingredients should be refrigerated. The butter will solidify, but for me it stayed in tiny particles. They separated into a layer on top of the rest of the liquid, but were easy to stir in right before mixing it all together. We chose to use a ratio of about ⅔ yogurt to about ⅓ sour cream. This gives some tang from the yogurt, but also some creaminess from the sour cream. Also, since we use sea salt, we always use a bit more than the recipe calls for because sea salt is a tad less salty for its volume. There are always a few things to be concerned with when multiplying a recipe. Sometimes you don’t want to multiply everything in equal proportion, especially with spices. However, it worked to do that with this recipe up to the 5 multiplication I did. Stirring is another challenge. It was challenging to stir *just until moist* with that much in the bowl. The total final volume just barely fit to be stirred in my 25 cup large Tupperware bowl. This was the bowl that I had mixed the dry ingredients in. I scraped the bottom of the bowl thoroughly and did manage to get all the flour up. What was odd was that it ended up with more liquid on the bottom. I think what happened was that the bubbling from the leavening agents kept proportionally more of the dry ingredients on the top! Several waffles had already been made by the time I noticed this. I was able to mix what was left better and the rest of the waffles still turned out fine. I made enough to feed 16 people, some people had seconds, and I had enough to fill a large plastic container for the freezer. Leftovers! I use two Black and Decker Belgian Waffle Makers. They have worked beautifully for several years and continue to do so. 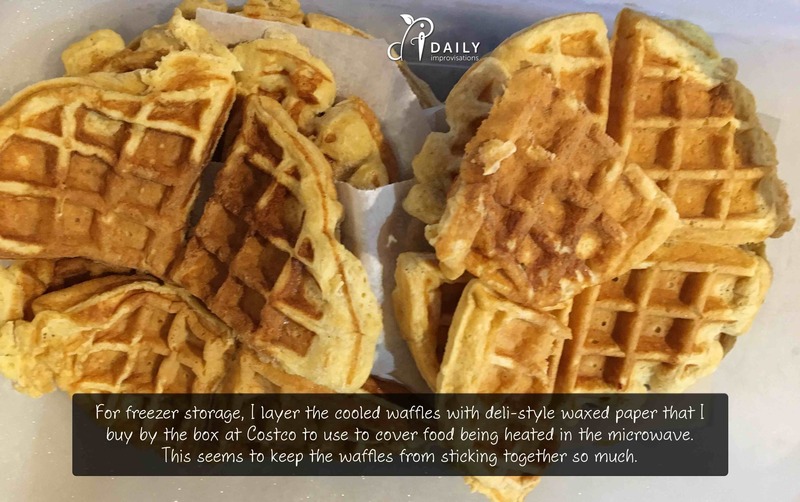 The waffles cook in a matter of minutes. Having two of them side-by-side allows me to cook waffles for a crowd.